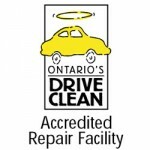 The Ontario Drive Clean program is a mandatory vehicle emissions testing, inspection and maintenance program. In order to receive and/or renew your vehicle registration and license plates in Ontario, you are required to receive and pass an emissions test. If you are renewing, the Ministry of Transportation will notify you if your vehicle is required to receive an emissions test. As of April 1, 2017, your first Drive Clean emissions test to renew your registration for light-duty vehicles (most cars, vans, SUVs and light trucks) is free. See if you are eligible for a free test. Removing the requirement for emission testing when selling a light-duty vehicle. Fees associated with assessing the vehicle’s repair problems (diagnostic) and fees associated with monitor setting are no longer counted towards the Repair Cost Limit. Eliminating consecutive conditional passes. If a conditional pass is issued on or after April 1, 2017, then a full pass is required at the next testing cycle. Vehicles are the single largest domestic source of smog-causing emissions in Ontario. Drive Clean reduces smog-causing pollutants by requiring polluting vehicles to be repaired. Keeping your vehicle well maintained according to the manufacturer’s recommended service schedules can help you avoid costly repairs and reduce pollution in our environment. If your check engine lights comes on, have your vehicle looked at by a qualified repair technician as soon as possible.